In 1707 Scotland had more than 20% of the population of what is now the UK – In the 300 years since, Westminster’s love of the Scots included, the Highland clearances and banishment to Australia, New Zealand, Canada and the Americas. Scotland’s population is now less than 10% of the UK total. Labour MP’s and their SpAd’s profess to be admirers of Keir Hardie. But one is left to ponder just what Hardie would have thought about private school educated labour MP’s telling the Scottish people they are better off being governed by a bunch of millionaire Tory toffs than a parliament with real power in Edinburgh. Blair McDougall attended the University of Glasgow, where as chair of the Labour Club he also served as chair of Scottish Labour Students 2001-2003. 2000-2006. Worked for Labour MP Jim Murphy: Became active in the Labour party, supporting Jim Murphy in his campaign for office in Eastwood. 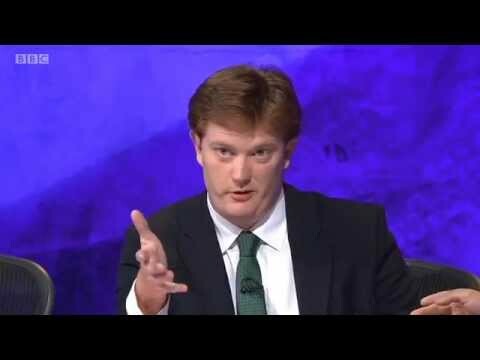 Whilst still at University assisted Murphy in the early months in his new role as an MP before taking on the post of Chair of the Scottish Labour Party Students. 2006-2007. Whilst still at University he was elected to the post of Youth Representative on the UK National Executive Committee (NEC). Members of the committee are seated alphabetically and it was no surprise when McDougall was appointed to the post of Special Adviser (SPAD) to Ian McCartney, Minister for Trade, Foreign and Commonwealth Office. Fortuitous indeed. One of the key figures behind the Better Together campaign opposed the creation of a Scottish based news programme that would have brought jobs and skills to Scotland, because it had the support of the SNP Scottish Government, a Freedom of Information request has revealed. Blair McDougall, Campaign Director of the cross-party pro-Union alliance, was a senior Labour Party Advisor (SpAd) when he called for a Scottish Six evening news programme to be blocked by party officials, labelling existing BBC Scotland programmes “parochial”. He wrote: “We also need to be clear about what he [Salmond] means by the ‘Scottish Six’. They [Scottish Govt] do not mean Scottish news first followed by UK news (as STV does at present). They want a totally separate programme where the world and some UK news is covered but by (sic) a Scottish perspective. McDougall was also critical of the flagship radio news programme ‘Good Morning Scotland’ calling it a radio programme that “rehashed” stories initially broadcast by the Today programme. 2008-2009. Purnell transferred to the Department for Work and Pensions (DWP) taking up the post of Secretary of State. McDougall went with him. In June 2009 following a disastrous European election campaign, Purnell resigned from the government and wrote to Gordon Brown advising that he also should resign as Prime Minister providing space for David Miliband to take up leadership of the party. Brown refused and Miliband was feart to make his challenge. Purnell was cast aside. Purnell left politics at the 2010 general election and worked for a variety of pseudo political organisations until 2013 before taking up employment with the BBC as Director of Strategy. He is still employed by the BBC and undoubtedly had opportunity to bring influence to bear upon BBC Scotland at the time of the referendum. 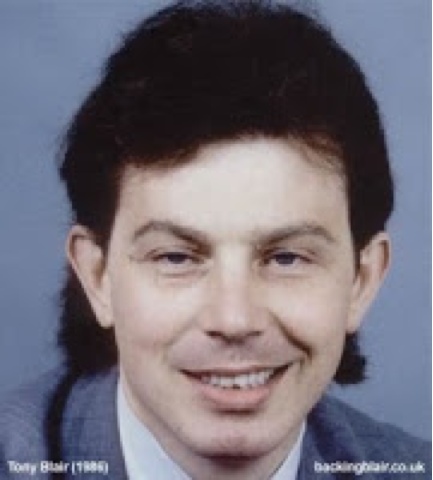 McDougall, surplus to requirements was found employment with Tony Blair. 2009–2010. Tony Blair Africa Governance Initiative. Governance Adviser (Rwanda). Just what role he discharged is unclear but the Rwanda regime was corruption personified. 2010-2010. When David Miliband made his challenge for the leadership of the labour Party McDougall saw an opportunity to return to front-line politics, albeit in an unelected role of SPad. Miliband lost and left politics for a job in the USA paying a six figure salary. McDougall was without employment yet again. But not for long. 2010–2012. Ed Miliband the new Labour Party Leader was persuaded by his brother David to agree to the setting up of, “Movement for Change” a project which identified and trained potential labour candidates for office. McDougall was appointed chief executive. He lost the protection of David Miliband and support for the project waned. Time for McDougall to call in some favours. 2012–2014. 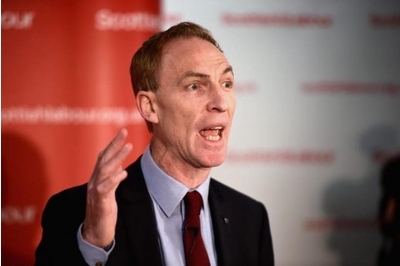 Jim Murphy, his long time friend arranged his appointment as Campaign Director of Better Together Ltd. Ecstatic to be away from Westminster McDougall sold his house in London and moved back to Scotland where he fully intends to remain, perhaps in a role at Holyrood. McDougall was retained by the Labour Party taking on the role of chief executive of “Movement for Change”, an umbrella group tasked with grooming the next generation of Blairite clones in the parliamentary Labour Party. Funded by Lord Sainsbury, it is well financed having received £225,000 in it’s first year of existence in addition to funds channelled through the David Miliband leadership campaign. McDougall had friends in high places and when the opportunity to lead the Better Together campaign arose his old mucker’s, Jim Murphy and Alistair Darling recommended the ultra-Blairite to Downing Street through the cross-party “No” umbrella group. As one Labour insider put it: “Well, they certainly cleared the “get a bloke with a Scottish name’ hurdle.” He was soon to make his all pervading presence known in Scotland. Not long after launching the campaign in Scotland McDougall’s team boldly stated that the Yes vote would need to be pushed under 40% in order to answer the independence question for “a generation”. The campaign would mirror that used 300 years before, (the successful 1707 strategy). It would be structured entirely on the blanket spread of disinformation through a compliant Scottish Press and UK government controlled broadcast Media. The theme was simple the operative word was “Fear”. Scotland could not survive without England, for long as an independent country. Too small, Poor, lacking a currency, pensioners would suffer great hardship and many other lies. The Scottish press reported that “influential Better Together insiders” (referring to the negative spin being placed upon any aspect of separation) spoke with an amount of pride of their organisation being given the title “Project Fear” by management. McDougall, when questioned was unrepentant about the tactics. During the 2012 Olympics in London, Better Together used the games as political propaganda, in particular the participation of Scottish athletes in Team GB which was taken to imply that supporters of independence weren’t interested in the Olympics. In November 2012 Alistair Darling suggested Scottish independence would threaten the continuation of British culture in Scotland. McDougall voiced in public, the view that Scottish people, and many thousands of Poles, Latvians, Estonians living in Scotland and presently citizens of Europe would be thrown out of the European community with no automatic right of entry.” Scotland would need to re-apply for membership and wait in the queue. Comment: Stuff and nonsense. Former European Commission (EC) director dismissed suggestions that Scots would be deprived of their European Union (EU) citizenship if they vote for independence from the UK. Speaking at an event to mark the 40th anniversary of the UK’s membership of the EU in Edinburgh, Mr Lawrence said it is “hard to envisage” Scots’ EU citizenship being revoked. Blair McDougall: I think the Scottish Government was elected on a mandate to have this referendum. They have been given the right to do that, and that is correct. With that right comes the responsibility to exercise that power fairly and to be seen to exercise that power fairly for the reasons I have given. Lindsay Roy: So you think there are enough checks and balances in the setup that has been agreed? Blair McDougall: That remains to be seen, if I am honest. The fact that we are having this process of scrutiny is really important. My honest sense is that we have seen a lot of media and parliamentary scrutiny of this. The thing that will keep the Scottish Government honest on this is that the Scottish people wouldn’t stomach a fix. If one side or the other was seen to be trying to fix the playing field in their favour, it would backfire on them. Lindsay Roy: So manipulation would backfire? Blair McDougall: I think it would. Pamela Nash: I would like to discuss public funding. It is in the Scottish Government’s proposals that they would not want any public funding of the campaigns. Is that the position of the yes campaign as a whole? Blair Jenkins: We haven’t taken a view on it. I know that is what is proposed. I understand where that is coming from. When public money is tight in a referendum where one would have to assume that both campaigns are capable of generating quite a reasonable level of revenue, a case can be made for not using public funds when there are great demands being made on them, but it is not something on which I have a strong view. Blair McDougall: My understanding was that the Electoral Commission had backed away from public funding around referendums. I think there will be sufficient interest between our two campaigns to make sure that certainly over the long period, notwithstanding my concerns about the short period, money can be raised to save the taxpayer having to fork out for this sort of thing. My concern is about the wider use of public money within this. If there was some sort of information leaflet, it would make sense for the Electoral Commission as an independent arbiter to oversee it. For three quarters of that 16-week period, the Scottish Government will still be able to operate and make the case through public money for independence. Only in the last 28 days will they not be able to do that. There won’t be another body in Scotland that is able to balance that out, because within that 16-week period I feel that the limits have been designed to handcuff us and other groups in society from being able to make that counter-argument. Pamela Nash: Do you think the period of purdah should be extended? Blair McDougall: That is up to the Scottish Government to decide. Again, were the period of purdah to remain as it is and the Scottish Government were actually or were perceived to have used public money to persuade people during that period in an overt way, I think they would suffer for it. Pamela Nash: In that case, could public funding not be used to even up the goalposts? Mr Jenkins, you said that you would want each campaign to be seen to be evenly funded and that no one should be at a disadvantage because of funding. Blair McDougall: I don’t see the need for taxpayers’ money to be spent in any way on this campaign. There will be a sufficient level of interest that people will want to support it. Blair Jenkins: As to people’s concern about Scottish Government announcements before we get to the 28-day control period that might be intended to have a bearing on the outcome of the referendum, I am going to hazard a wild guess here. I suspect that there might be one or two UK Government announcements before we get to the 28-day period that might be intended to have a bearing on the referendum outcome as well. It’s a long shot, I know, but I suspect there might be one or two. Chair: So that is a yes. You expect the Scottish Government to be doing that. Blair Jenkins: I would expect both Governments to be setting out their stalls in as attractive a way as they can for the electorate in Scotland before we get to that 28 day period, when you are not allowed to say or announce anything that has a bearing. As you know, I spent quite a lot of time in journalism and I am always willing to be surprised, but I am sure that people in Edinburgh and London will be thinking about what they can announce that would be well received by the people of Scotland. Chair: Is that not an argument for saying that the Governments should be both extremely active in clarifying what should be done and what the results of negotiations might be and so on, but the period of purdah should be extended to stop the cynical practice that you have already admitted the Scottish Government will be prone to and to which you are expecting that the UK Government might retaliate? Comment: The period of Purdah was abused by the Better Together campaign, in particular the UK government and the three main UK political parties. The referendum should have been declared void by the electoral commission. Chair: Addressing Blair Jenkins. Can I come to the point you are touching on about the media? How are we going to make sure that there is a media that transmits information as distinct from solely gossip and opinion? It is not so much a problem, in my view, in terms of the press, because everybody knows the press is biased, as it were, one way or the other. You go through all the papers and identify whose side they are on. It is perhaps more of a difficulty for the broadcast media where there is the appearance of impartiality but, particularly in the case of the BBC, a degree of bias. How do you think that is to be regulated and covered? Blair Jenkins:I agree with you that the press in this country is to a very large extent unregulated. We wait to see what Lord Justice Leveson has to propose in terms of whether there should be a different system of regulation, but at the moment there is an unregulated press, which largely reports as it sees fit and without any need to demonstrate impartiality or objectivity. As someone once said, that is the sea in which we swim. That is just the landscape in which we operate. Blair McDougall: I don’t have much more to add on top of the guy who wrote the book on this stuff. The difference between, for example, the BBC and a print journalist is that there is a rule book written somewhere to which you can hold people accountable. We have already had those meetings with management. I am sure the BBC have had them, or are about to have them, as well. They will have clear guidance on language, the balance of panels and all that sort of stuff. The confidence we take from the BBC, given that the director general resigned, is that someone will always eventually take responsibility for something within the BBC. 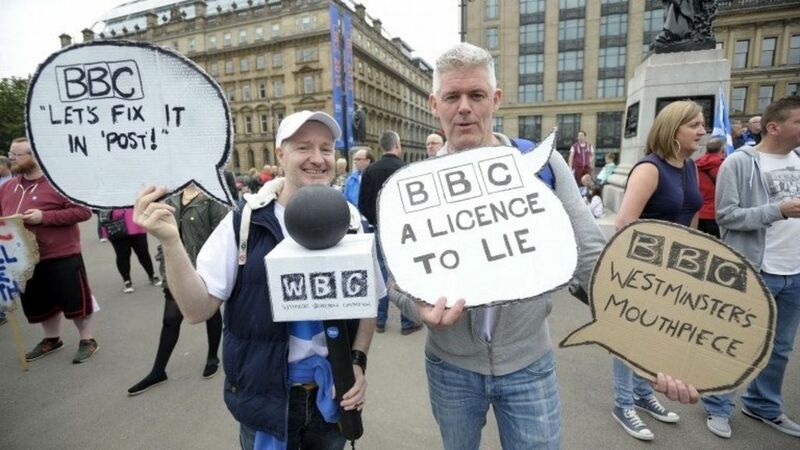 The flip-side of it is that, from our market research of what the Scottish people want from this debate, the importance of the BBC cannot be overstated on this; it is an incredibly trusted message carrier, and people will take their opinions from the BBC much more than they will from other sources. It is incredibly important that that process is there and there is that process of engagement. Like you, I think that most times when there is a big debate people on either side take to Twitter and call the BBC hopelessly biased one way or another, which probably means they are roughly in the right place. There needs to be that process of engagement when those mistakes happen or that guidance and policy is not picking up an important point in the debate. Chair: Addressing Blair Jenkins. I recall an outrageously deferential interview that you had with the BBC, and then it transferred over to some poor Labour spokesman, who got a proper hammering. It was the contrast between those two that struck me at the time as being reflective of bias. Neither of the interviews could be seen in themselves to be particularly wrong; it was just the juxtaposition. There is still an issue about what is seen as bias, in particular the use of presenters who are identified publicly as partisan and yet are presented as if they were impartial experts. These are issues that both sides will probably want to pursue with the broadcasters. It distorts the position quite considerably if people are being given somebody as a talking head with the impression that they are impartial and yet they are coming from a particular background. 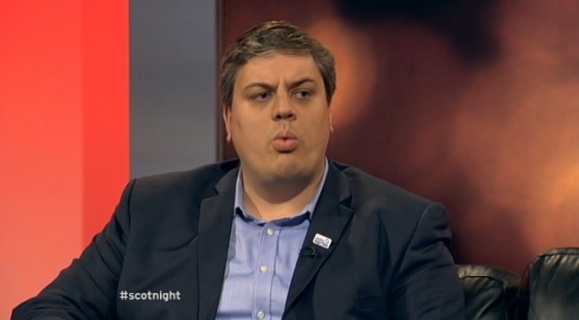 Blair McDougall: I suspect people in Blair’s office were watching the same interview and thinking the exact opposite. Chair: Oh, no. It couldn’t possibly be the one I am thinking of. But the shortcoming isn’t within the hearts and minds of Scots, it is with the SNP’s independence offer. None of us feels any less proudly Scottish today just because we are part of something bigger. Our sense of being Scottish does not depend on agreeing with Salmond. Belief in Scotland does not equal political nationalism. In fact, over the course of the campaign it has become clear that those things that make Scotland special and distinctive are better nurtured as part of the UK. We can be more strongly Scottish within the Union. There are roles we play within the UK, Scottish specialisms we bring to a collective ten times our size that simply cannot be replicated if we were to go it alone. Comment: Not the least of these is the surreal notion that we can somehow be “more Scottish” within the union. What the hell does “more Scottish” mean? How does one measure “Scottishness”? Why would one want to? The very idea of some people being “more Scottish” necessarily implies that others are “less Scottish”. Just as Better Together’s concept of “Real Scots” necessitates the alternative category of “False Scots”. In McDougall’s warped estimation, that means anybody whose first loyalty is to Scotland and not the British state. That is not only surreal, it is perverse. And if it seems distasteful in the context of the referendum debate, that’s undoubtedly because the British nationalist obsession with identity and ethnicity is so totally contrary to the spirit of Scotland’s civic nationalism. Everybody who is entitled to vote in the referendum is as Scottish as they need to be. And each is every bit as Scottish as all the others. We do not need, and should not tolerate, Project Fear’s efforts to divide our people on the basis of their own spurious notions of ethnic validity. Blair McDougall’s toxic language of discrimination between “better” and “lesser” Scots has no place in the debate on our nation’s constitutional future. It has no place in our nation. A prominent UN environment scientist has slammed the UK government’s “perverse” cuts to the renewable energy sector ahead of a key global climate change summit in Paris. Jacqueline McGlade said Britain’s decision to reverse support for wind and solar power is at odds with pledges made by nearly 150 countries for the Paris summit, where they are seeking to announce a deal on climate change in December. Blair McDougall: As part of the UK we continue our heritage as highly skilled engineers. Thousands of shipbuilders produce world-class vessels for the Royal Navy. Each Type 45 destroyer launched from the slipway at Glasgow represented a £650 million investment in Scottish engineering that simply couldn’t be matched by a separate navy with a total budget predicted to be £651 million. These are investments rather than subsidies. They are a result of Scottish confidence inside the UK and of the UK’s confidence in Scotland. But they are part of a deal, a benefit of UK membership and it is dishonest to pretend they would continue after we left the club. 25 June 2011: Scottish firms squeezed out of defence contracts. Comment: Less than 1% of all defence contracts are awarded to Scotland, which doesn’t take up much capacity. Skilled workers are sidelined for long periods relying on the state handouts to survive. The pitiful share of contracts is blatantly unfair. Scots pay taxes to the UK treasury but any reward is pitiful. The Scotsman.com/news/scots-firms-squeezed-out-of-defence-cash-1-1701894? Blair Jenkins: A shared currency would suit the remainder of the UK as much as Scotland, which is why it has not been ruled out by those in favour of the union. There it is Jock vote Yes at your peril. Westminster has a long memory and they will get you.!!! Comment: McDougall wrong footed by George Osborne on this one. Osborne and his supposedly impartial civil servants later pulled a policy out of the hat, “acting against Scotland” by insisting there would never be a currency share arrangement. A joint declaration promising more powers for Holyrood will be issued today by the leaders of the Scottish and UK Conservative, Labour and Liberal Democrat parties. David Cameron, Ed Miliband and Nick Clegg have added their signatures to the pledge made earlier this year by the three opposition leaders north of the border. The trio made their move on the eve of a televised referendum debate in First Minister Alex Salmond and Alistair Darling, head of the pro-UK Better Together campaign, will go head-to-head. The joint declaration is intended as a response to the independence campaign’s argument that only a Yes vote will deliver more powers for Scotland. Scottish Lib Dem leader Willie Rennie said: “This statement of common endeavour signed by all the main UK party leaders makes clear our unshakeable commitment to building a stronger Scotland in the UK. “People can be confident that more powers are guaranteed. 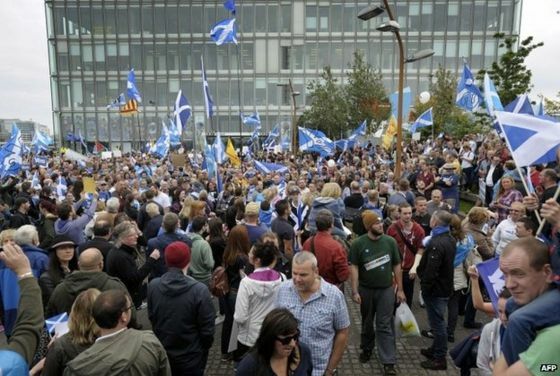 12 September 2014: Rigging the Scottish Referendum? The Westminster-led campaign against independence described itself as Project Fear. Its “New Labour” chief strategist, Blair McDougall, admitted after the vote that it was the fear factor that led to a No. 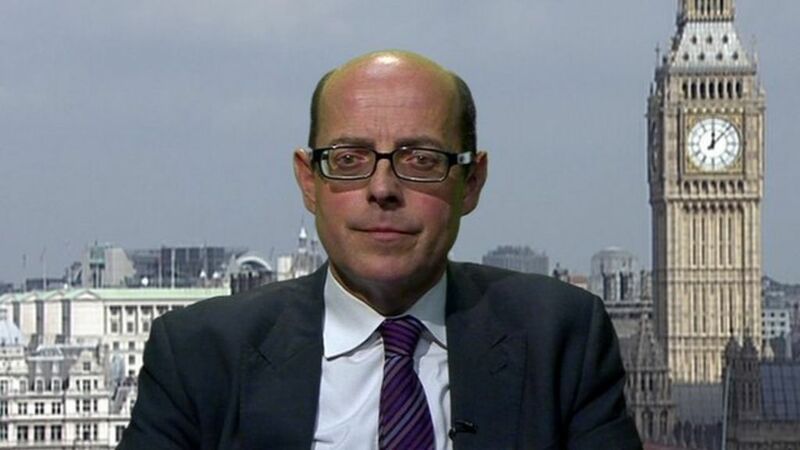 An incident involving BBC News editor Nick Robinson illustrates why the BBC has been accused of doing the No campaign’s “dirty work.” Robinson leaked Treasury claims that RBS Bank would leave Scotland, and falsely reported that Scottish First Minster Alex Salmond refused to answer questions on the subject. In a similar manner to pushing UKIP, the BBC has been complicit pedalling the fear agenda. A BBC overview article about the referendum stresses how independence could mean volatile oil revenues and an unstable currency – both key messages of Project Fear. But it omits the potential alternatives offered by the Yes campaign, such as how a Yes vote could rid Scotland of nuclear weapons and engender a fairer, greener democratic nation. 12 September 2014: Scotland’s future is hanging in the balance, as a poll shows a gap of only two percentage points­ between the Yes and No camps. Better Together campaign director Blair McDougall said the “fight for the future of Scotland” would “go right down to the wire”. He said: “The interventions of the last few days from the likes of Standard Life, Asda and Tesco Bank brought home the huge risks of separation. The UK’s biggest retailers were ruthlessly pressurized in an early morning meeting at Downing Street by David Cameron forcing them to intervene in the Scottish referendum debate, pushing the baseless message that a, Yes” vote will result in higher prices. He invoked Britain’s defeat of Hitler as part of a plea to around 200 business leaders aimed at preventing Scotland voting for independence. The Prime Minister said that it was as a United Kingdom that the Second World War had been fought and won, and that it was crucial that the country remained undivided. The so called, “initiative” will take the form of a letter to be released to the UK media in the next day or so. It is being led by Sir Ian Cheshire, the Chief Executive of Kingfisher, the business behind B&Q, the DIY chain. Other retailers understood to have agreed to back the initiative, so far include Marc Bolland, the chief executive of Marks & Spencer, and Charlie Mayfield, chairman of the John Lewis Group. Andy Clarke, the chief executive of Asda, and John Timpson, boss of the Timpson shoe repair business, also support it. Scotland might have voted for independence in last week’s referendum if his campaign had made a positive case for the union, rather than “scaremongering” about economic risks. So how did Cameron come so close to presiding over the break-up of the United Kingdom, and to what extent was it his fault? Cameron has always had a deep affection for Scotland — though his Scotland is one of hunting lodges and grouse moors. He knew the Scots didn’t warm to his ‘posh’ English accent and education. It was for this reason that he agreed not to play a starring role in the No campaign. The cross-party Better Together group was formed in spring 2012. Among its members were ex-Chancellor Alistair Darling, former International Development Secretary Douglas Alexander and Cameron’s pollster, Andrew Cooper. But there were simmering tensions from the start, which developed into constant rivalry and infighting. Nor did it help that former Prime Minister Gordon Brown — who harboured a bitter grudge against Alistair Darling — was often bad-tempered and uncooperative. There was one particularly exasperating telephone exchange between campaign director McDougall, a Blairite Labour activist with no love for anyone on the left of the party — and Gordon Brown. While they were still speaking, McDougall scrawled the word ‘loon’ (lunatic) on a piece of paper and held it aloft for his colleagues to see. They struggled to hide their mirth. For months, Cameron was content to leave everything to the Better Together team. But it was steeped in complacency — and, at times, could barely hold itself together, never mind protect the Union. Darling, who privately admitted that he had never run a big campaign before and didn’t know what he was doing, was persistently undermined by both Brown and an increasingly frustrated Douglas Alexander. No one seemed to have a clue what they wanted on campaign billboards. and it was evident professional marketing was required. The first agency contracted was, London based Blue State Digital a subsidiary of WPP plc, (Wire and Plastic Products) a British multinational advertising and public relations company with its executive office in Dublin, Ireland. The world’s largest advertising company by revenues, it employed around 179,000 people. It is reported that WPP goes to great lengths to lower its corporate tax bill, paying only 1.6% of total revenue in taxes in 2010. The Guardian also reported that between 2003 and 2009 the company paid £27m in UK corporation tax, compared to what the newspaper “might expect” based on reports of the firm making 15% of its profit in the UK, of around £126m. Blue State Digital, (Political Director, Gregor Poynton,) was recruited to the team — but without a proper pitch or brief — The expensive contract was terminated after a series of poor leaflet and media campaigns coupled with the production and expensive write off of tens of thousands of pounds’ worth of adverts that were never used. Poynton, a former Labour party election strategy manager and Scottish Labour party organiser is married to the MP Gemma Doyle. He hails from and has aspirations to hold political office in Falkirk. The second company, picked primarily because it was Scottish, created an advert based on the acclaimed American TV series Breaking Bad (about a chemistry teacher who launches a new career cooking methamphetamine — the destructive drug also called crystal meth). Not only was this a copyright infringement, but it bombed with focus groups: people either didn’t get it or thought it was snide English insinuation that Scotland had a drugs problem. Another proposed advert showed a tiny figure at the edge of a giant cliff. It was junked for being in bad taste after insiders pointed out that it looked like someone about to jump off Beachy Head. Meanwhile, Bank of England governor Mark Carney was privately beginning to worry there would be a run on the banks if Scotland went its own way. Insiders say that, although he was careful not to show it, he was frustrated by Cameron’s low-key approach and felt he could be more proactive. Slowly, however, the Prime Minister started waking up to the potential for catastrophe. What followed was a co-ordinated attempt by the Treasury and the Bank of England to ramp up the economic risks of an independent Scotland by ruling out a currency union. This was arguably the single biggest Westminster intervention of the whole campaign. To Cameron’s critics, Scotland is the ultimate example of ‘essay-crisis’ leadership (like a student who leaves his work until the night before): a last-minute victory secured only when Downing Street panicked and started making desperate promises for ever more ‘devo max’ (maximum devolution of powers). But it’s easier to accuse Cameron of complacency than to find any concrete evidence for it. ‘David was very active in ensuring that the Government side of the campaign delivered what was needed,’ says Cooper. ‘At any point where somebody asked him to put a call in to X, Y, Z, he just did it . . .‘I don’t think it’s fair to fault him, given how incredibly weak the stock of the Tories in Scotland is. It was very disciplined of him to acknowledge that — to be willing to be guided. ‘He deferred to the advice of the Scots, he deferred to the people on the campaign and he deferred to the Labour people. He did exactly what he was advised to do when he was advised to do it.’ Blue Labour Ran the campaign. In the final fortnight, however, Brown threw himself into the campaign, delivering a series of barnstorming speeches across Scotland. His final speech, the day before the vote, ‘was just the most powerful 15-minute speech I’ve ever heard in my life’, says a Tory member of the No team. As old divisions healed, Brown even started working closely with Cameron. Indeed, after the Prime Minister’s depressing weekend at Balmoral, the two men actually spoke on the phone to each other every day. Cameron’s final speech was even sent to Brown for approval. According to a No 10 insider, the Prime Minister had to bite his tongue as his predecessor lectured him on how he should have run the campaign. ‘Gordon Brown couldn’t resist saying: “I’m the saviour of the world, and you take my advice,” ’ the source revealed. Cameron’s view, he says, was indulgent. ‘That’s Gordon,’ said the Prime Minister, wisely refusing to rise to the bait. Not long after the polls closed at 10pm Blair McDougall relaxed with his team. He and his inner-circle at the Better Together campaign had known for some time that Scotland would reject independence, but there was still a sense of impotence as Scots cast their votes. He said “I knew we had won before ballot boxes started to be opened. Comment. So the postal vote had been compromised by the “spooks” after all. Blair McDougall misrepresented the OECD report on education by cherry-picking every criticism but omitting every accolade. This type of knuckle-dragging politics has been the hallmark of Labour for years and epitomised their indyref campaign yet they’ve learned nothing. McDougall’s only approach was to whip in the Union support and frighten waverers. It was never to appeal to the Nationalist-minded to win them over. That would require strategy and nuance – with something clever and optimistic.